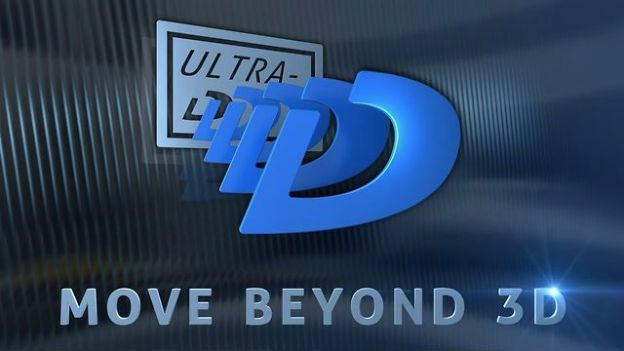 At the Consumer Electronics Show in Las Vegas last month, new media company Stream TV Networks revealed its proprietary glasses-free 3D format called Ultra-D. The company then partnered with the Natural History Museum to show it off to the public and has now said we can expect to see it in our TVs later this year. Ultra-D uses a 4K display to produce glasses-free 3D at a 2160p resolution. It works without the need for glasses, and doesn't rely on a "sweet spot" for viewing. In fact, you can have multiple people in front of a display with each person experiencing the 3D footage. A conversion algorithm uses the extra pixels on a 4K panel to give the depth illusion required for 3D, with Stream TV Networks planning to have consumer-ready devices available in late Q2 2014. The company is discussing the technology with several manufacturers and already has a deal in place with Toshiba. During a demo held with T3.com, a spokesperson confirmed meetings with LG and Samsung. A vote of confidence was also handed to the company by Sky and the Natural History Museum. The museum, in partnership with Sky 3D, put up two screens running the technology for public viewing as part of David Attenborough's Alive 3D exhibit. T3.com got its own eyes-on tech demo earlier this week, and we were impressed by what we saw. A particularly neat feature of the technology is to increase or decrease the 3D effect as you would do with a volume control. While the technology works best on content shot specifically for 3D, it can also up-res and convert older 2D content. T3.com saw this process at work on the 1946 classic It's a Wonderful Life. While not as seamless as the earlier Avatar demo, it didn't fail to impress. Ultra-D is currently available only on 50 and 55-inch 4K displays, with the company saying that 65-inch and 42-inch models would also be supported in the future. Not only that, but Stream TV anticipates this technology working its way into smartphones and tablets in the next couple of years. "Public response to our Ultra-D screens has been terrific and we are excited that Sky selected Ultra-D as the best glasses-free 3D technology in this instance," said Stream TV CEO Mathu Rajan. "It's a nice validation that our technology is really connecting with museum visitors, immersing them into the natural world of the past in a way that has not been possible before," he said. We're not sure whether a possible glasses-free 3D tablet or smartphone will be among the exhibitors at next week's Mobile World Congress event in Barcelona, but here's what we do expect to see.